I met a girl and fell deeply in love with her on the same day. But I had to wait for two years before we started dating. Finally, we were a couple! I promised her that I would never break her heart. I loved her so much that I thought I wouldn’t survive if she left me. But just a few weeks ago she said she wanted to chat. It was a few days before my birthday. She told me that she was in love with my friend and broke up with me. My heart feels as if it has been torn into a thousand tiny pieces. But I am stuck on her. I love her and she’s the only girl I’ve ever loved. I can’t move on. I don’t understand how this has happened to me. I respected her. I told her the truth and was always there for her. And she still left me for my friend. How can I get through this pain? 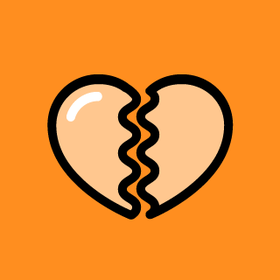 Dating can be heart-breaking and being dumped is an awful feeling. Do you have any advice for this Tune Me reader on how to cope with his hurt?